Wildrose On Campus Calgary has fired its communications director and cancelled a film screening planned for Wednesday at the University of Calgary following public uproar over an email promoting the event which read, in part, "feminism is cancer." UPDATE: After this story was originally posted, the University of Calgary's campus newspaper The Gauntlet has questioned the existence of the communications director that the Wildrose on Campus claimed to have fired over the "feminism is cancer" email — a person named Robert McDavid. UPDATE 2: On Wednesday, March 9, 2017, an on-campus group called Canadian Advocates for Freedom and Liberty said it was cancelling that night's screening of the controversial film The Red Pill. The group said it would reschedule the film in two to four weeks in a larger venue. Wildrose On Campus Calgary has fired its communications director and cancelled a film screening planned for Wednesday at the University of Calgary following public uproar over an email promoting the event. The email, sent out by the student group Monday and widely disparaged on social media, read in part: "feminism is cancer." "You and I both know that feminism is cancer. To create a dialogue on campus, we have decided to take action," it said above an advertisement for a screening of the 2016 documentary, The Red Pill, originally planned for Wednesday. The group said it was no longer co-hosting the event and took to social media Monday to apologize. The Wildrose on Campus is no longer co-hosting "The Red Pill", While we support free expression of ideas, this sad comment soured the event. "We are very sorry for the comments that were made in an email sent out earlier today," read a message posted to the group's Facebook page and Twitter account. "The comments made do not reflect the opinions of the executive or the club, and thus, our director of communications has been fired." NDP MLA and Environment Minister Shannon Phillips took to Facebook, calling on Wildrose leader Brian Jean to respond to the event. On Twitter, Jean said he was "glad action was taken." "We need to encourage women to be engaged in the political process, not make them feel alienated. Glad action was taken here," he said in response to a tweet from Wildrose MLA Jason Nixon, who called the event "totally inappropriate." 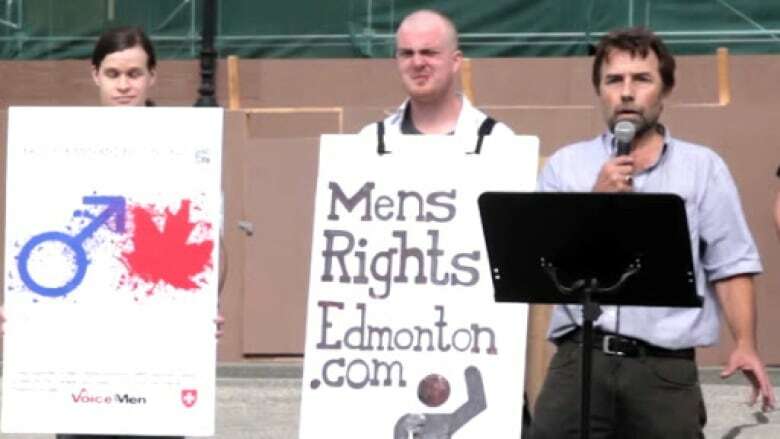 According to the website IMDB, The Red Pill "chronicles filmmaker Cassie Jaye's journey following the mysterious and polarizing Men's Rights Movement."